Q. 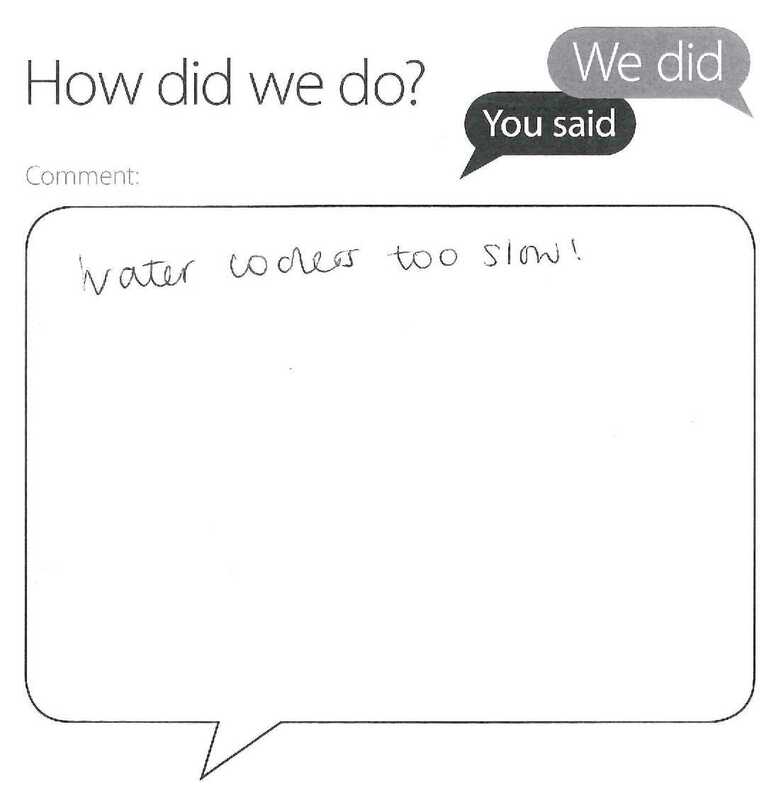 The water cooler is too slow! Thank you for your feedback and apologies for the delay in my reply. We did have a problem with one of the water coolers but it should now be working as normal. If you do experience any further problems please speak to staff at the Welcome Desk and they will call out a plumber to investigate.